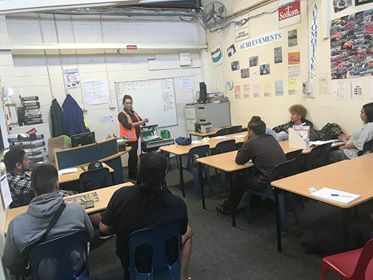 Automotive had the privilege last Thursday, to have Sherryn Erikson as guest speaker, who is a Sales Representative for ‘Complete First Aid Supplies’. 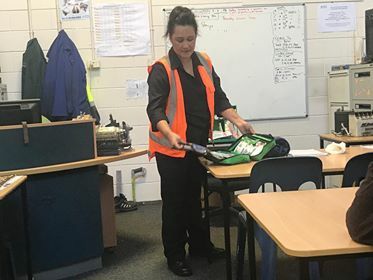 Sherryn provided a knowledgeable insight about first aid supplies, the usage of what consisted in a first aid kit and more, which so relevant and important for the trades industry today. Automotive thoroughly enjoyed her korero, thank you Sherryn. Fletcher Aluminium operates a large manufacturing plant with upwards of 150 – 200 staff and contractors on site at anytime. The company places strong emphasis on the safety, health, and welfare of our staff and contractors. As a result of this, the company chosen to provide our first aid supplies must be responsive and capable of satisfying our demanding and ever changing needs in a timely and efficient manner. We have found such a company in Complete First Aid Supplies Ltd.
Their staff have a wealth of industry knowledge and are always willing to do that little bit extra to see our needs are totally satisfied. I cannot speak too highly of the team from Complete First Aid Supplies Ltd and the level of service that the company provides to Fletcher Aluminium. I can totally recommend them as a supplier of first aid supplies. Complete First Aid Supplies are our providers for all first aid and training requirements. We used to have St John’s as our provider but changed because of better price, communication and customer service. Complete First Aid Supplies supply and service all our first aid kits at our Certified and Masonry Plants in Auckland. They also cover our Certified Plants in Northland. First Aid NZ Ltd covers all the Fist Aid Training Courses on behalf of Complete First Aid. These courses have been well accepted and employees have passed on comments to the affirmative. I have no hesitation recommending Complete First Aid Supplies as a preferred supplier. I would like to take this opportunity to thank Complete First Aid Supplies for their services over the past years. I also would like to thank Complete First Aid Supplies’ staff for their participation in organising our company first aid kits. Your staff time management is excellent – always on time and always willing to assist our company staff members on how to use the first aid products. Complete First Aid Supplies products are great to use and of good quality. Once again, thank you for your professional services and I wish Complete First Aid Supplies all the best in your future endeavours. Re: Rotary Emergency Response Kits and Supplies. 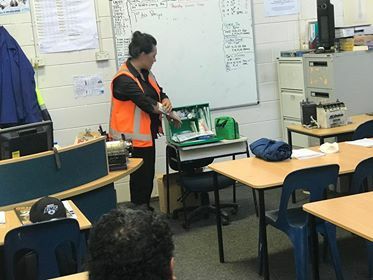 On behalf of the Rotary Club of Otahuhu, I wish to express our appreciation for your assistance and generosity in the supply of your company’s products as part of our kits. This is one of our many community based activities to bring assistance and much needed support to those in need in our wider community. With the considerable stock we now have in storage we are well prepared for any major disaster that may occur in the South Pacific Islands. Your assistance will add greatly to the comfort and support of many families in their time of greatest need. We work in conjunction with the Foreign Affairs Department who provide some of the funds for the contents, and the Air Force, who provide the first emergency response to disasters with the delivery of the Emergency Response Kits to where they are needed most. The assistance of your company and your cooperation has been greatly appreciated.